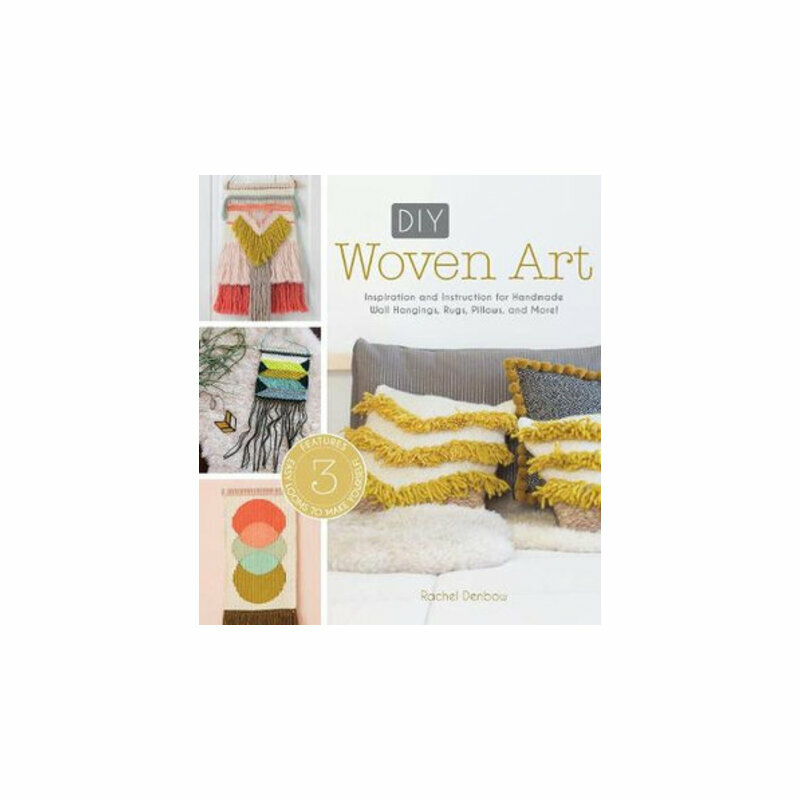 DIY Woven Art : Inspiration and Instruction for Handmade Wall Hangings, Rugs, Pillows and More! This hip how-to-weave guide demonstrates a variety of weaves, uses lots of different fibres and takes the portable loom approach, including instructions for making three DIY looms, to create fresh and funky wall art and other projects for urban style. Get crafty with DIY Woven Art! These 14 fabulous fibre art projects--from colourful pillows and rugs to dramatic wall hangings will add a pop to any room in your house. No loom? No worries. Rachel Denbow shows you how to fabricate 3 simple, portable looms. DIY Woven Art also includes tips on customising your designs and choosing the right fibres and embellishments for each project basically, everything you need to know to create these gorgeous projects from start to finish. Happy weaving! Rachel started weaving as a hobby to help jump-start her creativity. It has led to a regular set of tutorial contributions, workshops, and her own experimentation with styles that she offers in flash sales through her Instagram shop.